Why Eastern Plant Hire is the best supplier for truck hire in Brisbane, Melbourne and Sydney. 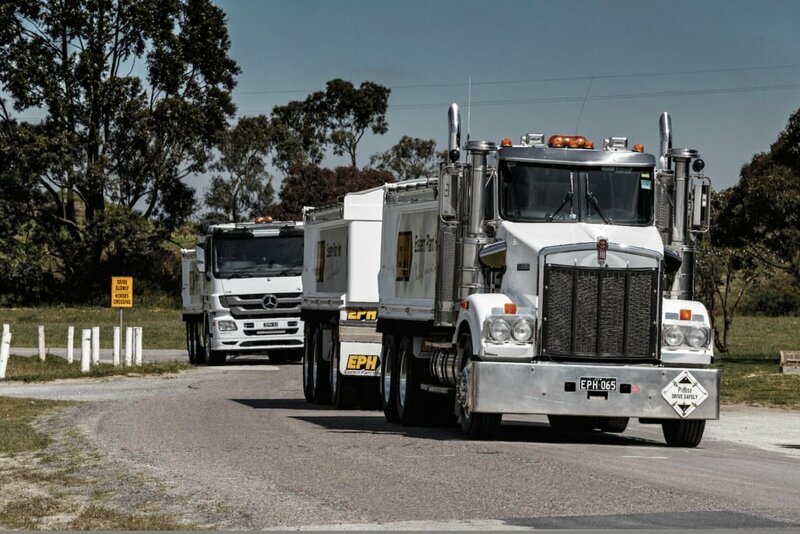 Our extensive service experience in the truck hire market, going all the way back to 1996, has helped us to repeatedly improve our offerings, machine diversity, competitive service quality, and rock-solid reliability for minor and major projects across Australia. With a diverse fleet packed with trucks, semi tippers, quad dogs, trailers, and tandems, we’ve got your next project covered. All of our truck offerings are backed by quality builds, superior maintenance procedures, competitive rates, and reliable customer service. With trucks available as either wet hire (machine plus a dedicated operator) or dry hire (just the machine), we’re confident that you’ll find the right truck and hire rate through us. Our truck & trailers for hire are the most common configuration when it comes to general material cartage due to their ability to cart higher volumes with reasonable access. With cost effective hire options, they are in wide usage. They are hired in various applications from onsite cartage to bulk haulage, road profiling, rock cartage, asphalt supply, quarry material delivery and more. Our tough semi-tippers are perfect for bulk haulage and rock cartage, where they can transport grain, soil, ore, rock, sand, gravel and even certain types of waste. Our trucks with quad dog trailers are ideal for the bulk haulage of materials (primarily quarry materials), thanks to their prominent ability to carry higher payloads. Our reliable tandem units are ideal for onsite cartage or on projects where access is limited, as their rigid bodies allow for easy manoeuvrability and quick mobility around work sites. They can often be paired with a skid steer, mini excavator or small excavator in a combination of applications to maximise job site efficiencies. Whether you’re looking for trucks to hire or need solutions for material supply and disposal, long or short term, Eastern Plant Hire can provide a cost-effective solution to ensure your specific project needs are not only met, but exceeded. Know what you want? Ready to hire some trucks? Give us a call today on 1300 037 437. Over the years, we’ve garnered a strong reputation across the East Coast for being able to consistently deliver high-quality hire services with high-quality machines. Despite this reputation, we are always working to improve ourselves even further, gain new business relationships, offer more than just good rates and machines, and deliver world-class customer service with above-and-beyond hospitality. Check out our projects page [link] for a look at a few of the major projects that we’ve been involved in over the years.